Because messaging app WhatsApp failed to comply with a Brazilian court order back in July, a judge in the country has ordered Brazilian carriers to block the app for 48 hours. The clock started Thursday at midnight, which means Brazilians won't be able to access WhatsApp until Saturday morning. The Brazilian phone companies are happy to go along with the court's ruling. Because WhatsApp allows users to send text messages and make phone calls around the word without being charged by the phone companies, the Brazilian carriers feel that they are losing the opportunity to collect some revenue. The messaging app's meteoric rise in Brazil has these companies upset. 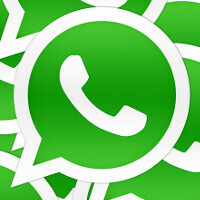 Consider that WhatsApp is the most popular mobile app in the country, used by 93% of those asked in a survey. WhatsApp was purchased by Facebook in a transaction valued at $21 billion when the deal closed in October 2014. Back in July, WhatsApp was asked by the Brazilian courts for information regarding an alleged drug trafficker who had used the app to commit crimes. The trafficker is said to belong to one of Brazil's biggest criminal gangs. WhatsApp failed to comply with judicial orders dated July 23rd and August 7th, both demanding that it turn over the requested information. On Wednesday, Judge Sandra Regina Nostre Marques found that WhatsApp was continuing its non-compliance with the court, and ordered the 48 hour shutdown. They could use Wifi ,right? Telegram is their favorite option. maybe a VPN that can manipulate the location. Well done Brazil! More countries will probably follow suit. Does anyone know why WhatsApp didn't comply with the court orders? That's more interesting to me than Brazil shutting down WhatsApp for two days.